The event that you have all been waiting for. Our Game of Thrones Whisky and Chocolate Weekend at Muckrach. Winter is coming! Join us on the 13th of December and let the fun begin, arrive for Afternoon Cream Tea. Then enjoy a Chocolate themed Dinner that evening at 7:30pm, which will consist of a delicious 4 course menu with wines to match. Wake up on Saturday morning for a delicious cooked breakfast. At 11:00am join us for a brilliant Chocolate Masterclass with Chocolatier Mark Tilling. A light lunch will be available after. On the evening of the 14th December, join us at 7:30pm for a drinks reception & canapés. 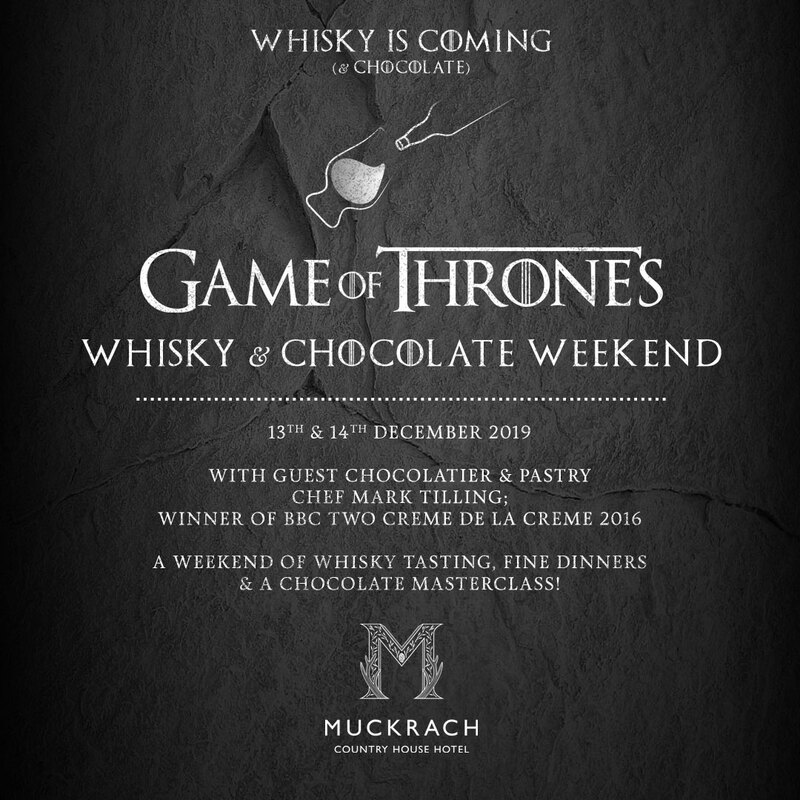 Followed by a Game of Thrones Whisky and Chocolate Dinner, with all 9 whiskies to taste! Depart after Breakfast on the 15th of December. Enjoy an all inclusive stay with us for the 2 nights stay from £549.